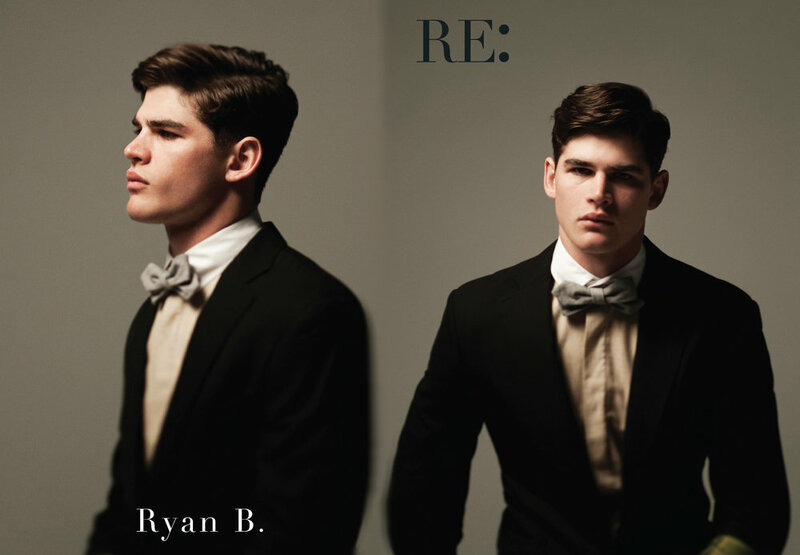 The Fall-Winter 2011 main board show package for ReQuest Models is inspired by vintage convict photos. Photographed by Stefani Pappas, and digitally-altered to appear as though the images are created through a double-exposure process, the cards are presented as landscapes, showing the portrait and profile of each model. 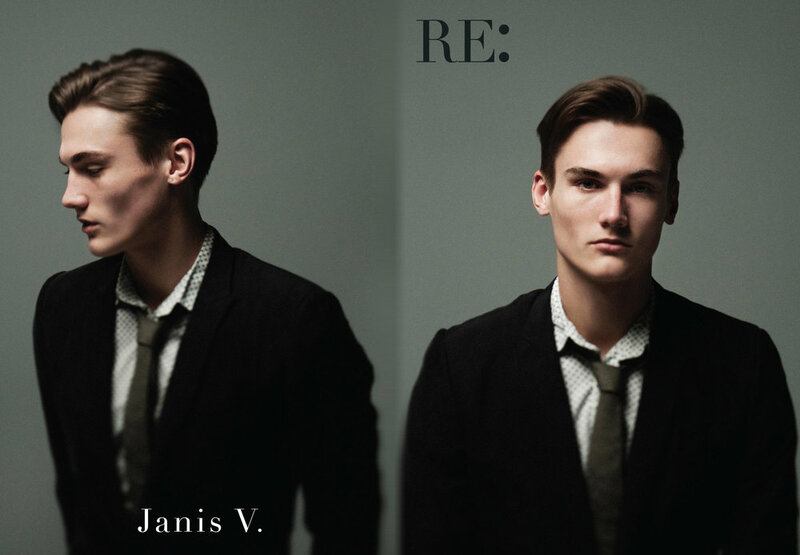 Models names are written in Didot to balance the sharp suits the models all wear. Styled by Katharine Erwin, they reflect the outfits of the images they were inspired by. The stats of the models are presented in Courier, enhancing the authenticity of the cards. ﻿The Fall-Winter 2011 main board show package for ReQuest Models is inspired by vintage convict mugshot photos. Photographed by Stefani Pappas, and digitally-altered to appear as though the images are created through a double-exposure process, the cards are presented as landscapes, showing the portrait and profile of each model. The cards were presented to clients in conjunction with the new faces’ show package. The show package is a representation of a modeling agency's top talent for the season and is sent to top casting directors, magazines, photographers, and other clients during the weeks leading up to fashion week.